"Review Of My Rental With Camperman-Australia"
"make sure you get a second set of keys..."
Camperman Australia is based on the east coast of Australia and has depots in all the major cities, including a branch in Airlie Beach and Townsville (both in Queensland), making them 1 of just 5 in Airlie Beach and the only one in Townsville. Their aggressive expansion has been facilitated by a well-oiled marketing machine that seems to have gotten their name in all the right places. They have come a long way in a short time. As websites go for campervan hire companies, theirs is quite full of information about the company, the campers, the prices and lots more. If you like to thoroughly research your stuff, you’ll love their page. But MAKE SURE you read the terms and conditions. It has lots of specific $ figures for pretty much everything you can think of going wrong or different from the plan. I’m sure they are just trying to be crystal clear, but it comes across as though they are lining up to be able to point at a clause and then charge you for something. However, other companies just say things like “you are responsible for damage” – very airy-fairy compared to Camperman’s detailed charge list. So, if you are after certainty then the Camperman Terms and Conditions are very comforting. 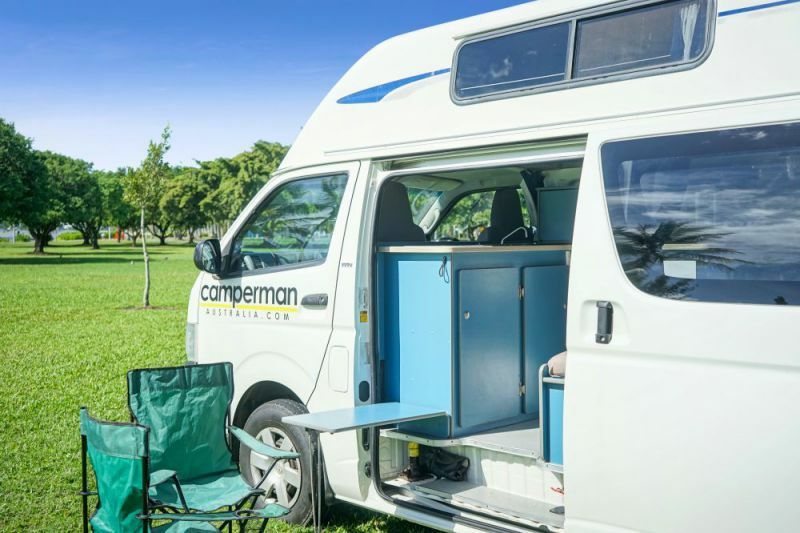 Camperman Australia also offers rental to 19 yo. 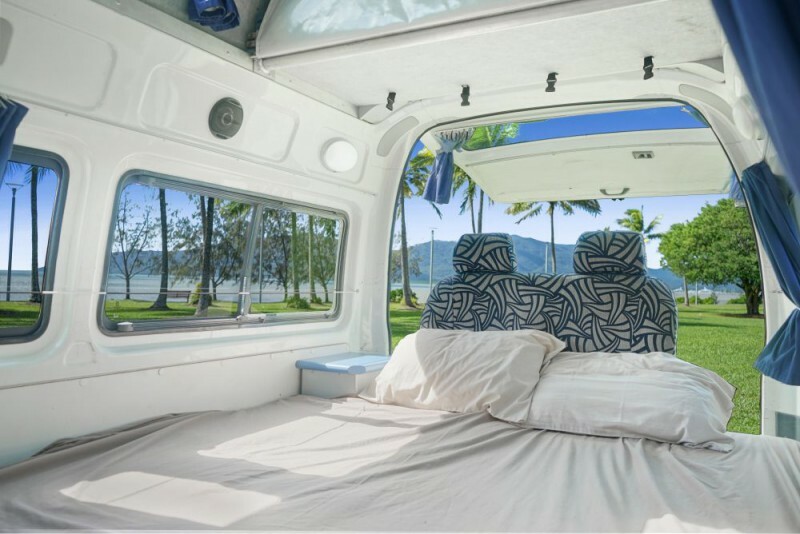 Whilst this is not 18 yo like of campervan hire companies like Wicked Campers, it is better than the 21 yo minimum age of some of the others. This makes sense as they cater to the younger market who are willing to pool 5 peeps into the campervan and use the tent option to save money. Camperman campervans aren’t brand new, but at least they are upfront about it even when booking. It clearly states whilst browsing on their web page or going through the booking process on this site what year range the vehicle is. 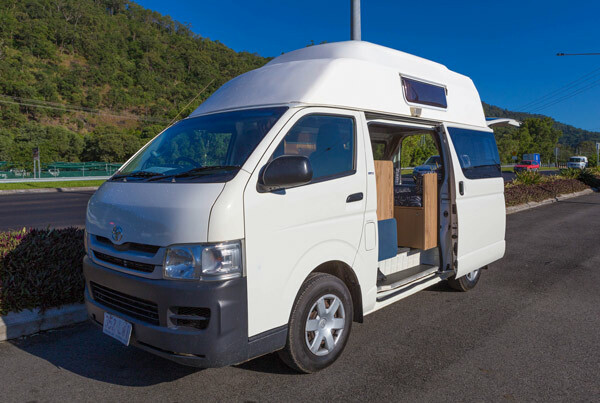 The age of their oldest and cheapest campervan can be over 10 years but is not a real problem as the vehicles are based on the reliable Toyota Hiace. The newer the campervan, the higher the price will be. As you would expect, the older campers will have fewer mod-cons as well as having more wear and tear on the interior. 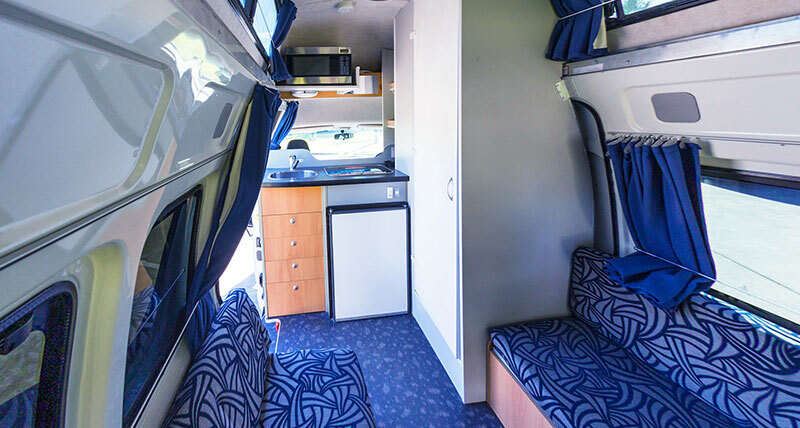 Whilst all campervan hire companies to try and maintain their vehicles to the best of their abilities, many years of people opening the cupboards and sitting on the cushions will inevitably take their toll. If you are looking for the absolute latest and freshest in all things, Camperman may not be the company you are looking for. Their vehicle range has been expanding over the last few years and they now even offer a deluxe model with a shower and a toilet called the Paradise. This vehicle and a number of others advertise as sleeps-5. They achieve this by supplying a tent. The way this works is that there will be 5 seat belts in the campervan so that it can legally seat that many people, but the beds will stack up to be a maximum of 4 inside the campervan. The 5th person is going to have to sleep in a tent that is provided. This will suit many people, but not others, so if you are the type that wants everyone INSIDE the camper, then you are going to have to look somewhere else. The same applies to some of the other campers like the Juliette and the Jade campervans. They are offered as both 3 and 5 person models. It is the same campervan in both situations, but you will just get supplied a tent for the extra bodies. Older but cheaper. 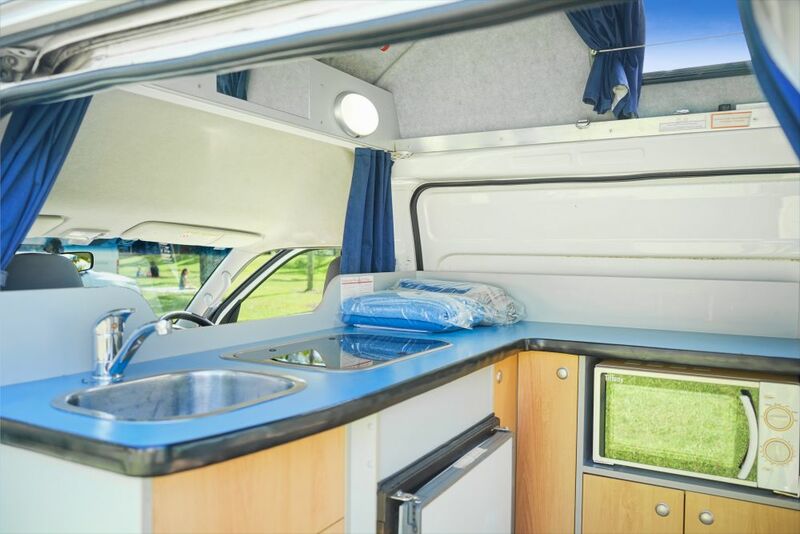 The Jade Hightop campervan is a perfect pick for smaller families in tight budget. The manual transmission may be an issue for some but this compact campervan already features a fridge, gas stove, oven, and plenty of space. On top of that, there are lots of storage under the dinette convertible into a double bed. It also comes with one child restraint so that you can travel with your child. The second 3-berth model on the fleet is the Juliette Hightop campervan, which is run by a newer base. It accents a more modern design with some certain improvements like a CD player instead of a cassette and 2.7L unleaded petrol instead of 2.4L. But just like the Jade, extras like tea towels, bathing towels, linen, sleeping bags, sheets, maps, cutlery, and crockery, are supplied at no additional cost! 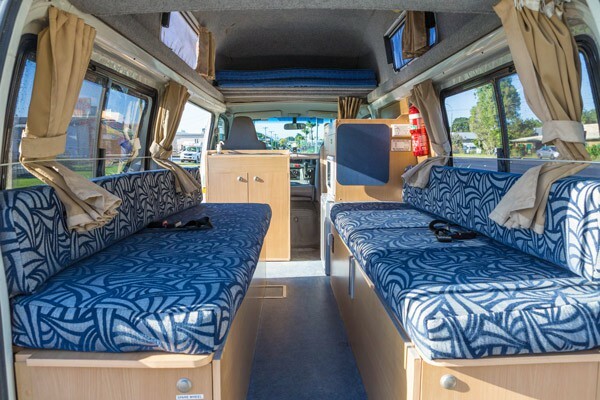 Take your family or friends to the open roads with this campervan that sleeps up to 5 people. 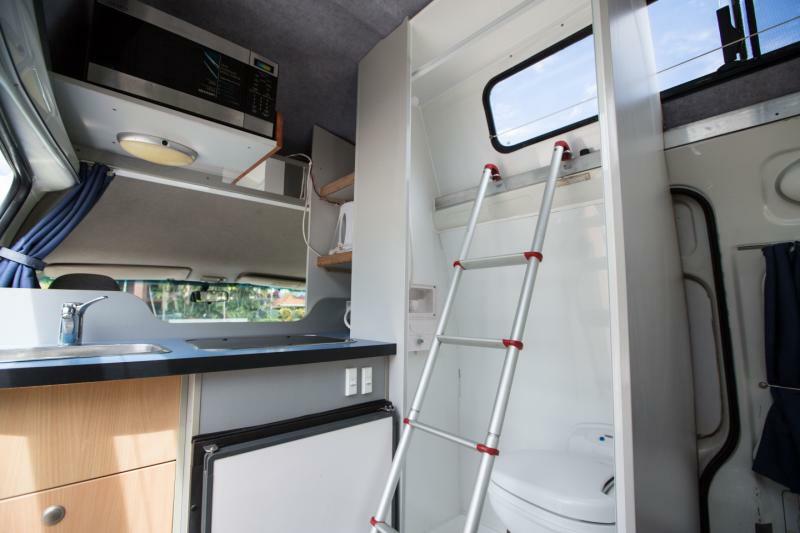 The Juliette 5-berth Hightop campervan is exactly the same with the Juliette 3-berth— the vehicle dimension and specification. It provides a double bed from the convertible dinette and a single bed located on the hightop. The only difference is the additional 2-man tent with camp mattresses to cater the extra 2 passengers. 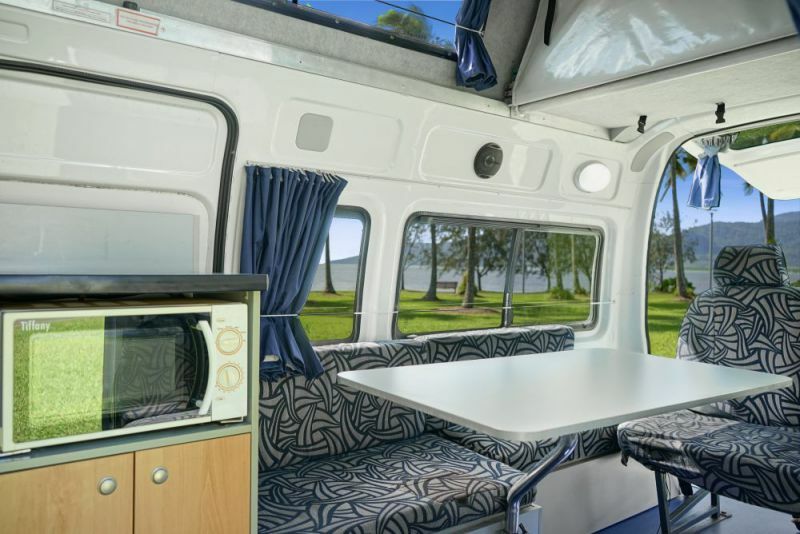 The Family 5 Hightop campervan is the cheapest selection for the 5-berth unit. Whilst you can save a couple of dollars for this one, it comes with a lower fuel capacity and a bigger fuel consumption. 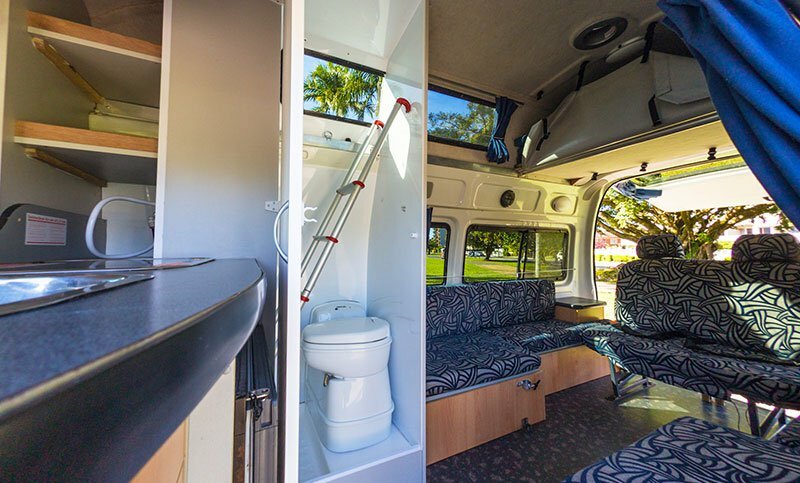 Hence, you may need to think twice before choosing this campervan. Featuring 4 seatbelts and ultra-long wheelbase, the Paradise is recommended for those wanting some added space and upgraded amenities. It provides 2 optional child seats, which means you can bring your kids during your road trip. With a larger fridge, there's more storage for your leftover and beverages. However, just make sure that there are 5 people travelling so that the tent will be free of charge. If you're with less than 5 people and would like a tent, you will be charged $70! All vehicles take at least 3 people, some up to 5, but this one is the most coveted among all vehicles on fleet. Though the priciest, it is very spacious and compact with hot & cold shower and cassette toilet! The sleeping quarters include one double bed, one double rooftop bed, and tent suitable for one or two adults. The security bond is only $500. Britz, for example, is as much as $7,500 and with that old phrase “you are responsible for damage” and the list continues. 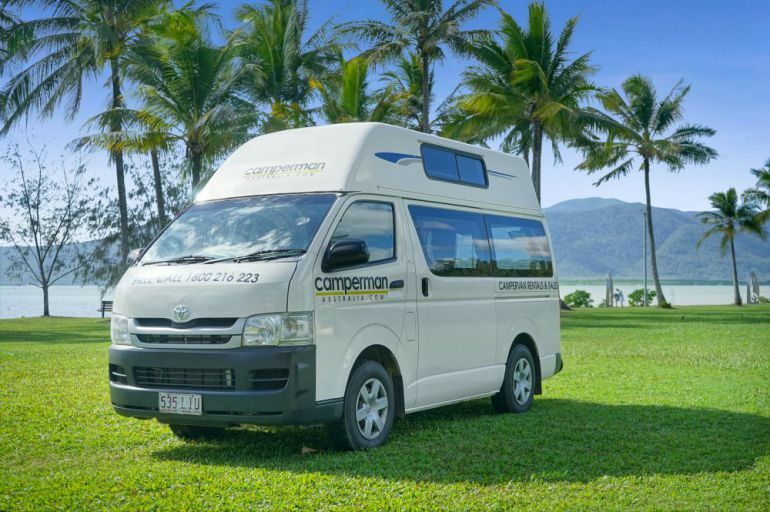 If you are not wanting to pay out a large deposit from your credit card (hence making it unavailable to you whilst you travel) then Camperman will suit you. But do take note that they do not offer insurance options to further reduce the bond or excess and overhead, undercarriage, and tyre damage are at the cost of the renter. 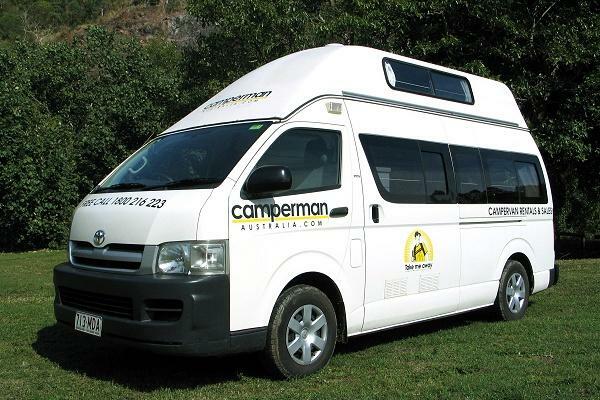 Camperman Australia is a budget-wise and family-friendly campervan hire in Australia. The fleet is quite appealing for smaller families and even bigger groups, though not completely stoked with frills and extras. One feature that sets them apart from other rental companies is the minimal security bond and comprehensive insurance, along with several branches all over the east coast. This is pretty nice considering the number of rental entities with whopping bonds and excess. Their vehicles are a little bit older that keeps the price down, but not so old as to be clapped out. 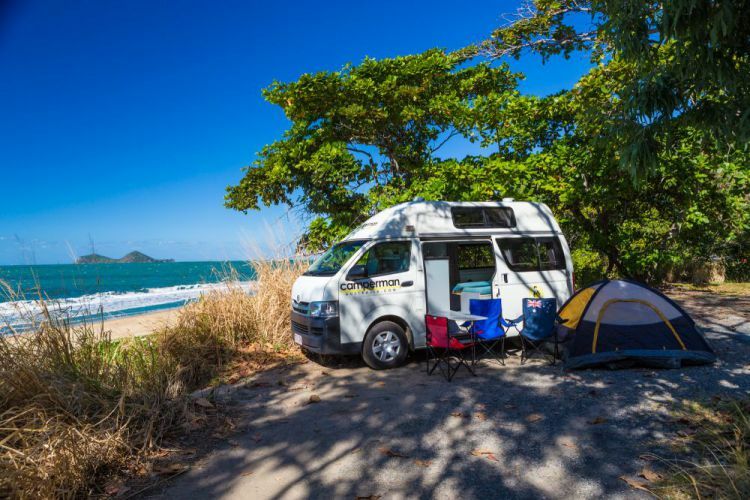 The limited travel to the east coast may bother some people, but is a targeted decision by the company to capture the majority of the campervan hire market in Australia. 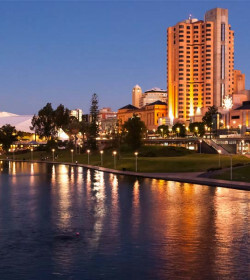 Camperman Australia is nicely competing with the major companies. Their low-security deposit is a boon and should be looked as a good option if you have limited cash resources whilst on your travels. Overall, a good company at decent prices. We thought we were getting a 2014 camper we got what felt and looked like a 20 year old camper . We had to go buy a mattress topper for the bed sept on it the one night it stunk and was uncomfortable we got no sleep. The customer service was great, the price was good and the engine was in superb shape! Two things to note: Interior battery (ie fridge) was not up to scratch and if it was fully charged it was flat by morning. Fair enough battery quality is a tough thing to check for both staff and customer. Even if the battery reads ~13volts you'll only know the longevity of the charge a day or two later when you're out on the road with no chance of getting it replaced. My only ideas would be a) for the customer (or staff) to switch in/out their own pre-tested battery before/after the trip? b) stay a night before leaving and try your best to discharge the battery? These ideas may not work for everyone. My other advice is to make sure you have another set of keys!!! If the staff don't or can't provide a duplicate set then you should probably get the car key duplicated before you go. The cost of a locksmith in an outback area could easily be in the thousands of dollars. We did snap the key in Alice Springs so the cost of locksmith was only $200. Not covered by terms of rental. All around camperman were good to us, but think carefully, as the hirer you have a lot to consider. - MOUSE living for delivery: noise at night, had to empty the cupboard every night to hang the food as it was digging into it, smell, bed board was impregneted with mousse urine... We manage to capture the beast after 5 days. - 3 TYRES with SLOW LEAKS we only had a doubt from day#2 but only got confirmation on the day before last since we did not move the van much once at destination. - to look for a repairer to get the burner fixed... sure! when we asked them to give an address where this could be fix we got no anwser. We did ask the customer service for a partial refund of the rental fee... but Camperman does not even reply to our emails! Thank you for such Perfect Camping Holliday as the Van was set up PERFECT for aTrouble Free Run,very comfortable and easy to Drive. 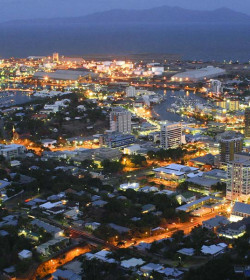 Very Nice People to Deal with inTownsville . I wll reckamend Camperman to all my Friends. We hired a Jade-3 campervan from Adelaide to Melbourne to explore the Great Ocean Road. The staff were really helpful giving us loads of tips on the campervan as well as places to see on our trip, and their website has suggestions on where to stay in campervan friendly campgrounds along the way. We went for their cheapest model (it was the cheapest deal we found in Australia) and everything functioned well. We had no problems on the way. The beds were comfortable and our daughter slept in the upstairs bed. The campervan is stocked with everything you need like towels, pillows, dish washing supplies at no extra cost. "Awesome trip and great fun"
"Terrible experience and poor customer service"
My family of 3 rented a 5 berth campervan from Camperman for a week in January 2018 and were extremely dissapointed with both the vehicle and how they addressed (or didn't) our issues. Keep this in mind when looking at reviews, there may be less poor ones because the renters are bound by a confidentiality agreement. Shower/toilet and ladder to upper berth both broken on delivery. Check engine light and fuel light on when delivered. Van smelled like garbage due to rotting waterfowl in front grill on delivery. Blown head lights. When van died (fuel pump) they sent tow truck with 2 passenger seats (family of 3 and van for 5). Did not replace van for 2 days, and sent a car instead. Promised to reimburse for accommodations and vehicle down time and did not. Asked to sign release and confidentiality agreement. We tried to book a standard 3 berth Camperman camper on-line and were told they only had one option left which was a significantly more expensive 5 berth camper with shower and toilet. Since we only had one choice we accepted the premium van. 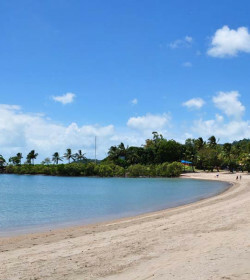 We picked the van up from Gypsy travel in Airlie Beach, Rich was great and provided us with advice on what to see along our travels. He walked us through the vehicle where we pointed out that the vehicle had 500,000KMs, the check engine light was on and the fuel light was on. He logged the check engine light and said "hopefully you have enough gas to get the gas station". We did the walk through in the side ally and assumed the garbage smell and flies was from the ally, not the van and thought nothing of it. Our first stop was a beach in Bowen for lunch and a hike. While sitting outside the van eating lunch we were overrun with flies and a terrible rotten/garbage smell. We were starting to think Australia smelled and was full of flies. We overnight and while setting up we discover the door to the toilet/shower does not work which basically makes this expensive upgrade non-functional. When it's time for bed we pull out the ladder for my son to climb up to bed and discover the rungs on the ladder are broken. So we need to help him up and down. The next morning we stopped in Townsville to swim in the public pool. Once again we are overrun with flies and the continuous garbage smell. After a closer investigation we discovered a large, dead waterfowl rotting in the front grill! After some work we were able to remove the bird and dispose of it. Smell and flies solved. We continue on with the non-functioning shower/toilet and ladder but we are able to make due by paying for campgrounds that have shower facilities, an added cost we didn't plan on but we manage. The next night in Babinda is uneventful. The following night we stop in Yungaburra make camp and then drive into town for dinner. When we return to camp in the dark and had difficulty seeing the road but drove slow. When spotting the van into the campsite we notice that one of the headlights is out. At this point there are too many issues and I contacted Camperman via email and outline the problems we discovered. We did not expect perfection (especially from a vehicle with half million kms) but we did wan the premium features we were forced to pay for at least work, and all safety equipment (lights) be functioning. For our troubles they offered us a refund for one days rental on the condition we sign an extensive release and confidentiality agreement. With no printer in the van I waited to sign the release. Two nights later we stay in Cape Tribulation (no cell service) and when we wake up the van won't start! We call Camperman and they say they will send roadside to investigate, I ask how they will handle the down time. They immediately respond with "don;t worry you will be compensated from any down time." to which I respond "good thing I didn't sign the release." We left on a tour in the morning and when we returned roadside had been and gone but did not update Camperman. We called Camperman and they had no update or plan to get us moving. Eventually they sent a flatbed tow truck which arrived late afternoon. It was getting dark and the driver wanted to get on the road but there was an issue. The tow truck only had 3 seats and there were 4 including the driver. We were faced with splitting up the family or one of us driving unbelted in the cab. Why send a tow for a camper that holds up to 5 and you know was rented by a family and not think about how to transport them safely? The two was instructed to tow us to Wonga but after explaining we needed to be in Port Douglas for another tour they arranged to have the van towed to a campground there. When I asked what was the plan for the following day, would we get a replacement, or a rental car they said they would be repairing the van in the campground. I wasn't confident that would happen and didn't want to spend another day waiting around for a tow and asked what the back up plan was. I was very specific that I didn't want to waste another day waiting around in a campground for them to come up with a plan. I was told by a hostile manager that I had no input and to trust that they had it all under control. So we camp in Port Douglas but have to eat out because our food spoiled in the non-functioning fridge and had to pay for cabs around town. "Don't worry, we will reimburse you". We called Camperman the following morning during our tour to get an update. They inform us that the van has been towed (with all our belongings) to a service center and to wait for an update. When our tour ended we called again to see if we should walk to the service center (near where we were) or go back to the campground and wait. The hostile manager told us that they couldn't fix it, they would send a car and to "wait by the van". After several clarifying questions he finally told us it was not at a service center but at the campground. Turns out they lied and never took it to be serviced and instead wasted the morning. The tow truck with the loaner car arrived at 4:30 in the afternoon, and as suspected we burned another day. Now that we have no campervan we needed a place to stay for our last night, they offered accommodations up to $100, despite paying $385/day for the van. We had a night booked at a hotel that was $109/night in two days and felt it would make sense to stay there and not waste more time moving between hotels. Camperman promised to reimburse us if we paid for it because it was over their $100 limit. "Don't worry your will be compensated". When we returned the loaner car, which turned out to be the managers my son left some pictures from a Koala experience in the back of the car. They informed us we could pick them up from their Cairnes office. We asked them to forward them by mail to our final hotel in Sydney instead, they did not. After another follow up they promised to send them to our home address in Canada, to date (March 23rd) we have not received them and assume we never will. Since we returned on a Saturday there was no manager on staff to address our promised compensation and we were assured that we would get a proposal on Monday. We did not. The following Thursday I proposed two days rental refund plus the $100 for hotel. Which I thought was reasonable, 1 day for the broken toilet/shower etc, one day for the two days of breakdown, and $100 for the hotel as promised. They flat out refused and only offered 1 day refund, no more than previous despite the additional problems and commitments. To date this is not resolved and since I have not signed the release I am free to share. Our experience was awful and to cap it off when they sent the final inspection of the vehicle none of the issues we identified were logged. This means as soon as they got it running again it was put back in service as-is for someone else to deal with! I'd rather tell everyone my story and forgo the $385. Keep this in mind when looking at reviews, there may be less poor ones because they are bound by a confidentiality agreement. Good luck if you decide to rent with these guys, you will be on your own. We rented our camperman campervan for two whole weeks last December 2017. We where given a van with a broken shower glass and after I demanded that this was fixed they fixed it temporarily. The kitchen was very small and only had open shelves where to put the pans. We were driving on a highway and a pan fell from the open shelves on top of the cooker, breaking the glass cover of the cooker. Apart from this we had water entering in the storage areas under the seats where we had our luggages. We told them about the glass and they charged us $250 for it. We tried to communicate with them since this was not our fault as the open shelves are not safe enough to keep things from falling. They ignored all our emails and messages and did not reply back. Apart from this the glass does not cost more than $100 this means we where charged more than double the price. Bad customer service would not book again with this company! The van was perfect and also the pillows the sheets and kitchen tools. We enjoyed and drive easily and without any issue. The staff were very friendly on both ends. Thanks to Camperman !! "DO NOT USE THIS COMPANY. RUINED OUR TRIP AND CON YOU FOR ALL YOUR MONEY." *******DO NOT USE THIS COMPANY!!!! ******This company doesn't even deserve 1 star, rude members of staff. Lost a day of our trip because the van had faulty equipment and we had to take it in for repairs- no apology was given. On return of the van we arrived on time to find the depot was closed so we had to leave the van unattended at the side of the road over night before any member of staff could do the review of the vehicles condition. The van was old and covered in scratches and dents and Camperman refused to give us our $500 bond back claiming there was a new dent- there wasn't and the condition report was not not fully or efficiently completed. DONT USE THIS COMPANY- THEY WILL CON YOU FOR EVERY PENNY. Ruined our entire trip. We hired a van for a 14 day drive from Brisbane to Townsville. When we picked up the van it was mouldy throughout the interior, but we figured it was cheap so what could we expect? The fridge barely kept our milk cold, and we had to store our meat in the freezer compartment to keep it at a safe temperature. Again, what were we going to do? We had a tight timeline to stick to and we couldn't afford to be stuck somewhere getting it repaired. One of the external vents flew off during our drive from Brisbane to Bundaberg, we superglued it back on after we called camperman and were accused of hitting it with something (we hadn't). All of this would have been forgivable as just a glitch in an otherwise enjoyable holiday, had we not broken down in townsville. The van overheated, and we called camperman for advice. it was 2pm on a 35 degree day. We were told to wait with the van for 90 minutes for RACQ to arrive. We had two small children with us, who were left sitting in the sun because the inside of the van was unbearable. We waited. Eventually RACQ arrived and said that the van needed to be towed. We called again to see what happened next, and were told camperman were wiping their hands with us. incredibly, we were left there, on the side of the road with all of our holiday belongings, in the sun, with no transport and no help. Not even a taxi to a hire car place. We were forced to hire a replacement car at our own cost - leaving us more than $500 out of pocket because we had to pay a rental bond on the new rental. Camperman refused to take our calls after they took possession of the van. They didn't even call us the next day to make sure that we were ok. Now they are refusing to refund the days we missed out on having the van because of the break down. they're also refusing to cover the $117 we paid for the hire car. Despite our best efforts to resolve this, they have resorted to snide emails and childish behaviour rather than dealing with the matter professionally. I will recommend to everyone that they are not worth the heartbreak. Our holiday was soured by these fools, and four weeks later we are no closer to a resolution. The first thing I liked about this company was the upfront and all0inclusive cost. Once I made comparisons I realized that the 'cheaper' quotes did not include full insurance and would freeze large amounts of money (upwards of $3,000) on my credit card if I did not take full insurance. 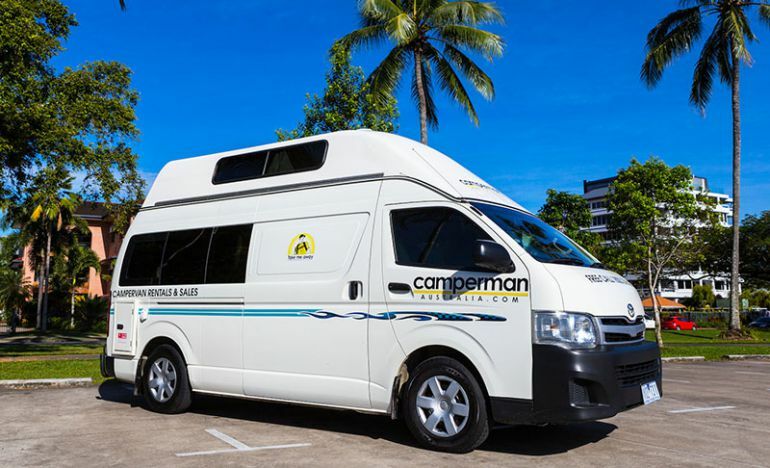 By the time you add on insurance and other things like an extra driver (needed for long trips) and an automatic road toll token, Camperman ended up being the best value for money. We hired a Jade 3 person hightop, which is one of their older models but it was super cheap. You could see on the inside it had some wear, but we expected this, and everything worked and was clean. We experienced no mechanical problems, the staff were helpful, as was the travel section on their website. All in all, we have no regrets or complaints and would recommend them to others. There were four of us and the Paradise Family 5 hightop was roomy enough to fit us comfortably. The table converted to a double bed and the loft bed fit two people. It was the cheapest way for us to travel and Camperman’s pricing really was all-inclusive. 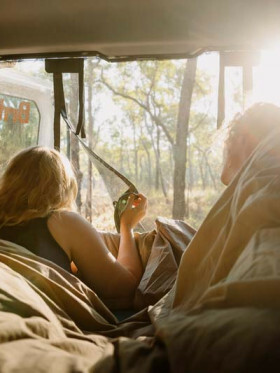 We compared the cost of most campervan hire companies in Australia and some started off as low as $49/day but by the time you added on necessities like insurance (so you don't have to have a $3000 bond frozen on your credit card), additional drivers (so one person isn't doing it all) and cooking/bedding equipment Camperman turned out to be the best value for money. They had the most honest pricing. We had no problems and loved our two weeks of vanlife! We traveled as a couple and picked up a Juliette Hightop from Cairns for the drive down to Sydney. The staff at Cairns were great. They have a lot of useful road trip information on their website, which we used. Price-wise, everything is covered. You don’t pay extra to reduce your insurance excess. Everyone gets a low excess of AU$500. Some of the others we compared had an excess of AU$3000 and you had to pay an additional $30 a day to reduce this. As our daily rental was $89, this would have added quite a bit. All road tolls are covered and there is no one-way fee for dropping the van off at Sydney. (some places had a $200 drop off fee). It was savings like this that made Camperman the best deal when we did the comparisons. The van ran well and everything worked. We had no problems at all. First of all, i don´t need to stay anonymous, thats why i wrote in my name. To sleep in the Van you need to insert the wood plates between the sitting areas in the back. Of course the wood plates didn´t fit into the space. Moreover, several buttons on the drawer fell out. The refrigarator functionend whenever he wanted. Also received a speed limit fine 2 months after vacation in Australia, had to pay additional 70 Dollars administration charge to camperman. What a Cheek!!! !..........No way i will ever make a deal with this company. "Our worst nightmare - avoid Camperman Company (Australia) at all costs - especially van reg 332 SGG." 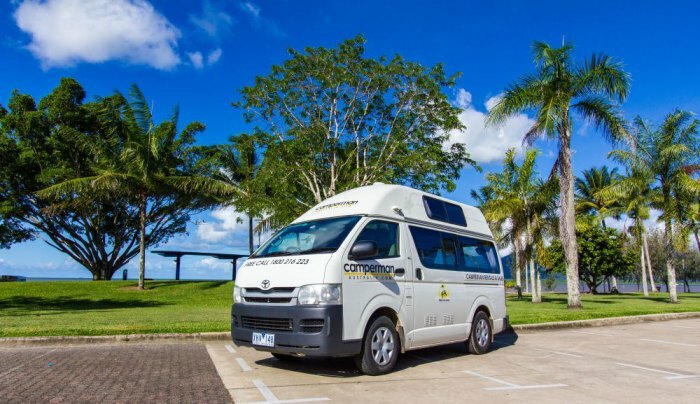 After booking a 7 weeks retirement cruise from Southampton to Sydney for our first visit to Australia we decided to hire a campervan or similar to see some of the country. Despite contacting the Sydney tourist agency for any recommendations on camper van hire companies with a good reputation (bearing in mind theindustry cowboys whom Camperman are surely number one) they were unable to assist so we booked on-line with Paris - a sales lady at Camperman - Cairns for collection at their depot in Sydney. Paris assured me the vehicle would be "about" 4 years old and we would receive full tuition from their "team" in Caringbah, a suburb of Sydney, before embarking on a week long trip along the south east coats to Melbourne. After inspecting the interior of the vehicle which was downright filthy and spotting the van had done 505,000 kilometres I immediately complained to the site manager who was a right clown. "We have no other vehicles" he whined despite the yard being full of vans and so we were stuck in a strange country confronted by hostile staff and with no other option we drove away. We had numerous issues which is summarised in this email (please see below) I sent to their jerk of a manager named Alistair in Cairns and who bottled out (yellow faced coward) of meeting me, a 64 year old pensioner, in Sydney to sort the matter out "face to face" before we flew home on March 3rd. I would add at this stage that the vehicle was 9 years old - not 4 as promised and the Camperman owner, some bozo named Christian, was simply a liar when I spoke to him about this. We collected the van from Sydney on Monday on hire until 28th Feb - to be returned to Melbourne. We will be returning the van tomorrow - Saturday - as we have been bitterly disappointed with the standard of the van you hired out and the worry of breaking down. This has completely ruined the final part of our retirement holiday. Thanks for that. Having consulted with the ACCC we have been advised to list our issues with Camper Man and send them a copy. These are as follows - in no particular order. 1. When I initially hired the van from the UK with Paris I was assured the van would be "around 4 years old". This proved to be totally incorrect as the kilometre reading is 506,000. This van is at least 12 years old by my reckoning - and it shows. 2. On Tuesday a yellow warning light appeared when we were on the Princes Highway. I pulled over and contacted Camper Van and spoke to - from memory Chloe then a chappie called Mark. He advised me to check the oil and coolant and if these were ok to ignore the dashboard light and drive on. I tried to explain that oil and coolant had separate warning lights so I took the van to a local garage for safety reasons. After a diagnostic check the qualified mechanic informed me that the issue was nothing to do with oil and coolant but an engine management problem and whoever advised me to ignore it was stupid - his words not mine. The issue was code P0418 - secondary air injection system. Code B2799 also appeared which is the engine immobiliser system. The mechanic said the air injection malfunction would not impede driving but I was right to take it in. 3. The light appeared again 24 hours later and I spoke to you Christian. You told me to drive on which I found incredible as the owner of the company. We had no choice but to drive on but with the warning light still on the fear of breaking down has ruined our holiday without a doubt. Simply not good enough. 4. When we collected the van the "chip key" was broken. We were told to tape the non chip key to the stub of the chip key and hope the coding transferred so the van would start. Naturally we refused so the staff at Sydney reluctantly had another key cut which delayed us by another hour. When we received the new key the staff member grumbled that the new key cost 120 $ as if it was our fault. 5. No carbon monoxide detector - absolutely vital when gas is in use. 6. Cap missing from outer electrical connector. 7. No drainage pipe for the sink water this empties straight into the ground. 8. Could not locate part of the bed so we stopped at a timber yard in Ulladulla and purchased the missing piece in order to make up the bed. On the first not we slept on the floor. 13. Fridge dirty - we did our best to clean it out. 15. Toilet unclean - not used by us. 16. When opening shower cubicle the track fell down. This was also unfit for use and we have not used it. 19. The floor was dirty especially around the fridge base. 20. Some of the curtain tracks broken and held together by a clothes peg. 21. Insect nets ripped - especially on the door. 20. The internal upholstery needs a good clean as the van reeks of a sweaty, musty smell. 21. Internal woodwork and surrounds needs a good clean with coffee and cooking stains still evident. No we are not "whinging poms" Christian but expect certain standards. In summary I have been advised you obviously buy these vans when other hire companies dispose of them and charge extortionate rates to unsuspecting mugs like me. We are not 20 year old backpackers or druggies but retired adults in our 60's who now expect far better standards. This is the sort of van whom you rent out to those who don't care a damm. However we would be horrified if our children had a wreck like this to drive around in. One of the staff at Sydney with a sick sense of humour wrote "RIP Drivers" on the damage sheet. We have photographic evidence of these issues. After inspecting the van at Sydney we asked for an alternative van. We were informed that "no other van was available" despite a number parked around the yard. With no hotel booked and in a strange country faced with a degree of hostility when we raised some valid points we had no real option but to drive away and hope for the best. In my opinion Christian this van is nothing short of a death trap and you would not put your family inside it for a holiday trip. Of that I am convinced. Finally I have far better things to do on our holiday here in Australia than having to sit and write this email and as a consequence of all these issues and incorrect advice we would expect a full refund of the cost of this van and I await your confirmation. So to all you people thinking of hiring a camper van - avoid Camperman at all costs unless you are a back packer or a druggie, want a wreck of a van, deal with rude and distinctly unpleasant staff, speak to all sorts of liars and clowns at Cairns and want a holiday ruined. If you are happy to do this - use Camperman. I urge you not to part with any cash until you have inspected the vehicle - we made this mistake. A new saying is now evident in the English language to describe having been conned or ripped off - you have been Campermanned!!! An absolute snakes belly of a company who buy old and decrepit vehicles and rent them out for extortionate charges. Hopefully I will make another trip to Australia, as the countryside we saw was simply stunning, and include a trip to Cairns and see these "people" face to face. Finally I am not a "whinging Pom" by any stretch of the imagination, just expect certain standards for the cost of hiring the van. We just started our trip but I am so dissatisfied with the customer service that I feel I have to leave a review. We picked up our camper van in Brisbane and went to top up the fuel when my parents saw the engine light was on. 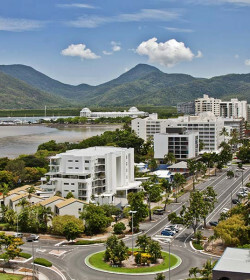 They called the head office in cairns who said it's not safe to drive and we should return it immediately. We went back and my uncle came with us to help my parents with the English. She told my uncle nothing is wrong with the car and when he tried to reason with her and tell her my parents are worried and tell her what the other staff in cairns said about not driving the van she got really upset. She yelled at us to leave her office and told my uncle he was treating my mum (his sister??) bad when they were having a conversation in Swedish, a language she doesn't know. I stayed back and tried to explain to her what the staff in cairns had said about the car and that we shouldn't drive it and that my uncle was trying to solve this for us because he is fluent in English and my parents are not. She yelled at me that my uncle was a bad man and that she felt sorry for me and my family for being related to him. She refused to talk to us further and I almost started to cry. So rude and mean and I can't believe she said those things about my family, very unprofessional. Of course we should be able to express our worry about the state of the vehicle when something seems wrong without her attacking us like that. I have never in my 1,5 years in Australia been treated like that. We are now starting our trip and the engine light is still on and we just hope that we won't have any problem with the van. Possibly the rudest man I have ever had to give money to (the owner). Only that we were so desperate as it was three weeks before Christmas and there was very little else to choose from we had to keep our booking and couldn't cancel after the way we were treated. We had booked and confirmed a campervan pick up on Monday 28th December. On the 2nd December we got a call from camperman telling us we would have to pick up on the 29th instead. 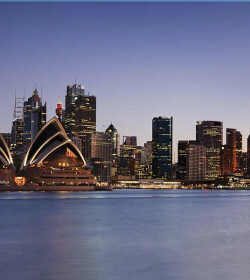 We were flying from Sydney to Brisbane to pick it up so this was inconvenient for us as we would have to pay for a second nights accommodation in Brisbane and we had also paid for campsite accommodation for the 28th. When we tried to explain this to the owner he replied "so what? whats the big deal? what do you expect me to do? just use the money you dont pay on the camper for the 28th for extra accommodation in Brisbane"
I actually couldnt believe someone could be this rude, dismissive, abrupt and obnoxious 1) as a "business owner" 2) as someone I was just about to pay $1600 to and 3) as someone who had made the mistake in date pick up yet couldn't even apologise to us or offer any small gesture of good will for the inconvenience. Don't use this company if you can at all avoid it. The standard and quality of the campervan was pretty rubbish too. I’ve cobbled together the posts I made on tripadvisor during and after our trip from December 2012. Reading some of the previous reports on here (TA), I’ve been very worried about our camperman rental !!! So we prepared ourselves for a rent-a -wreck rust bucket. We turned up at Caringbah this morning and were looked after very well by their agents. We had a thorough inspection of the van. Every dent and scratch has been noted. OK so its a bit worn, but everything works. It drives well and we’ve just had a comfortable journey up to Hawks Nest, where we are going to spend the next 2 nights acclimatizing. Cooker rings, microwave and fridge all work well !!! Bed comfortable, you do need to be organised re storage. Though having the 3 berth for 2 does give you an extra shelf. Have found it very easy to rustle of good meals- the utensils supplied are very comprehensive. We have paid the extra $100 for Tyre and windscreen cover- which we will be testing in a few mins when I phone them to report that we’ve woken to find a flat tyre.- not a problem for us time wise as we are enjoying Hawks Nest so much we are staying a third night !! So phoned the freephone number explained the problem, Campervan have emailed me with 2 tyre centres we can use, have just had to let them know which one so they can forewarn them. So all still good. Very impressed so far. I was going to update after we returned the camper, but thought I’d wait til I got home and could check the credit card statement- to make sure everything was in order.- It was. The flat tyre was sorted at Taree branch of Beaurepaires. Excellent service from them. The trip: We continued up to Scotts Head- also a gorgeous place to stop for a few days. Originally we were going to head further north, but we’d heard of a couple of good stops south, so decided to turn around. We ended up in Forsters and within minutes of parking up and the good fortune to see a pod of dolphins down near the bridge. Instead of heading inland ( originally we had considered visiting Blue Mountains) we decided to stay near the coast, so then headed down to Toowoon. For our final night we stayed south of Sydney at Shell harbour ( we wanted a simple run back to Caringbah). When returning a Camperman van, you do have to have the outside cleaned- this cost $35.00. The only gripe I have with Camperman is that, unless you take out the tyre/windscreen cover you are liable for all costs, which seems fair until you discover that your vans windscreen probably (as ours did) already had several chips that have not been repaired!! If it’s already got a chip, then it could shatter, leaving you open to costs for something you didn’t cause!! !